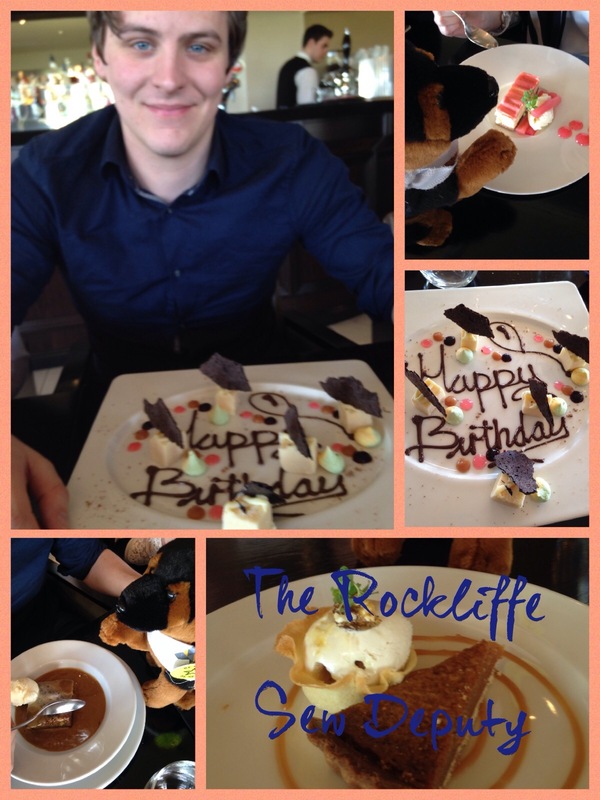 Tom was 23 years old this week and so as a special treat we had Sunday lunch at our local 5* hotel Rockliffe Hall. I just had to have a gorgeous dress and so decided a Liberty fabric had to be my choice. This is from White Tree Fabrics, they have so many to choose from but this was my favourite and it is a great price if you use my 20% off code :SEWDEPUTY. 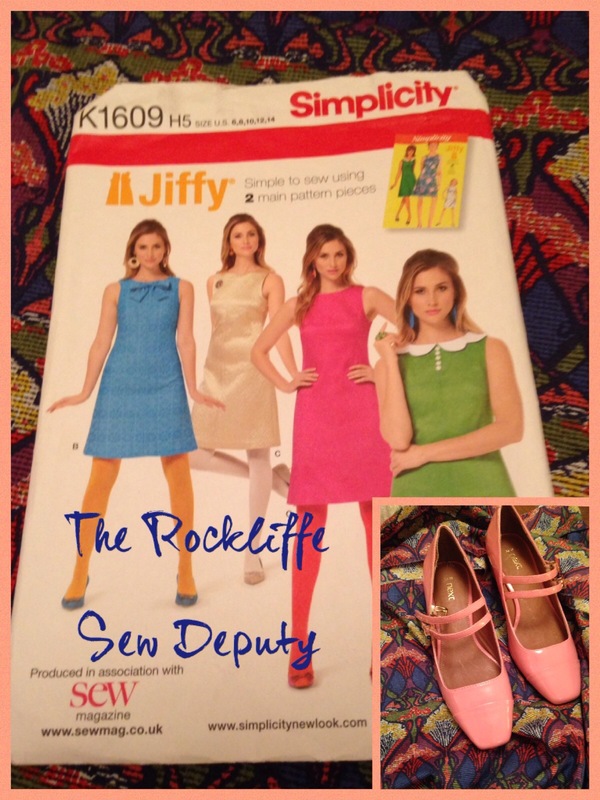 As I haven’t had time to sew much lately I went with an old favourite Simplicity 1609. I just wanted to show off the beautiful fabric and am pleased with how it turned out. Oop! Did I mention I had matching shoes and bag? I used a concealed zip in the right hand side as, after making The HMI I realised how much nicer the fit was at the back with a seam. It was quite tricky with the pattern, so not quite perfect but near enough, especially when I can’t see it! And here is the birthday boy…. Look at the puddings!! Delicious! 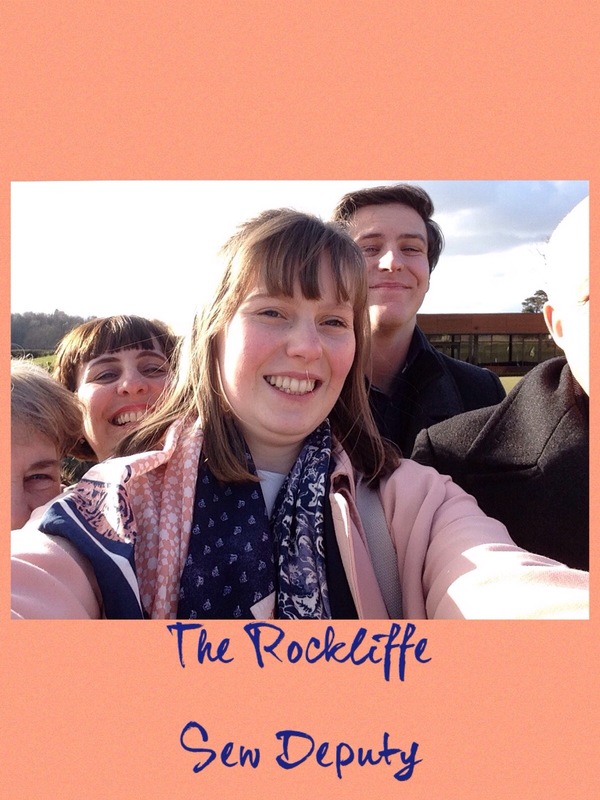 We then walked the long way back to the car park in front of the hotel. 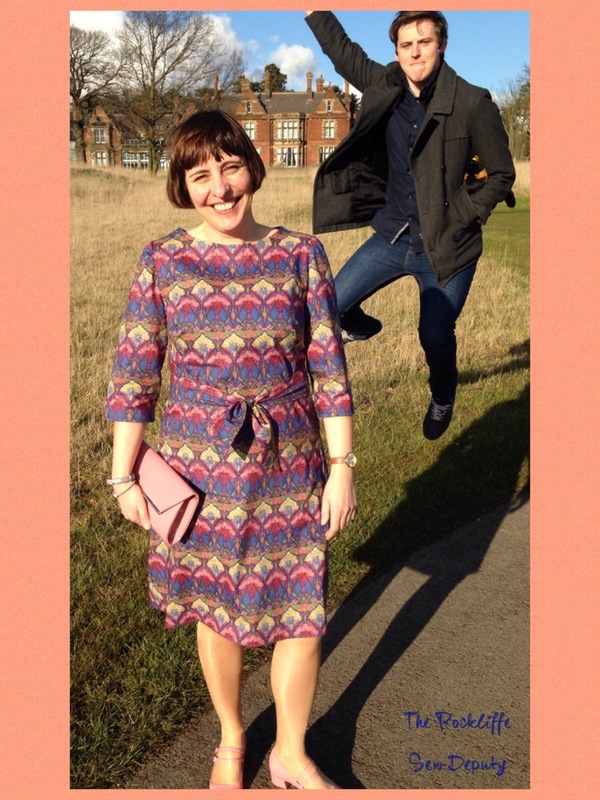 Blog Manager was not too happy with the photo taking but I did get one that suited the dress and venue….. So why was BM sulky? Well, at school we have our very own Police Dog with his own Twitter account…. 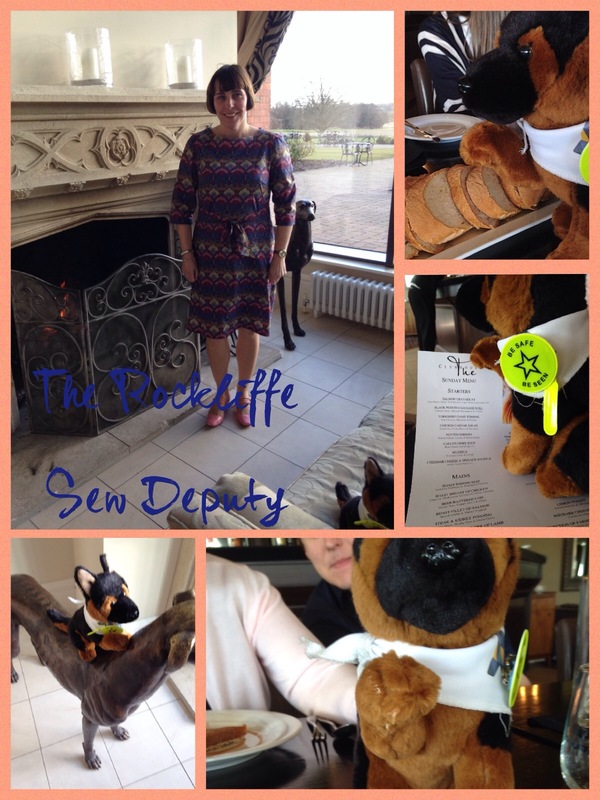 @LittleFreddie1 and he likes to go out ……he really wanted some 5* luxury this weekend and so I was mostly disowned as I got some shots! Notions: 2m fabric, thread and 7inch concealed zip, +new shoes!?! Wonky Factor:10/10 I really love it and I felt really elegant! Wow! Congratulations on the video award! Will look forward to those photos. Am amazed you didn’t need a cardi with that dress, even with sleeves. Cotton lawn seems such a light weight fabric for a British February. Oh my that is beautiful fabric, and a beautiful dress! Lovely! So elegant, Amanda! Another winning dress. I love how you accessorise, too! Is the bow belt attached or just tied round waist? 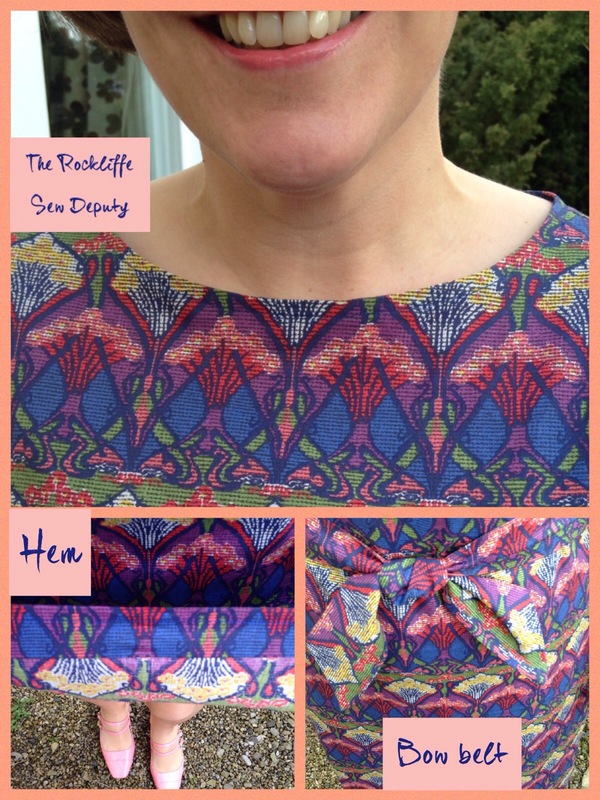 How did you do the sleeves for this pattern – did you use them from another? I do like this Jiffy pattern. Oh good question…..I don’t know where the sleeves came from! Ha! No I do…..they are from my shift dress/ The Dewsbury top. They have a little gather in them so fit most patterns. I actually prefer it with sleeves as I keep having to wear a cardigan with our weather. Looks so much nicer when you can show the whole dress off! Thank you! Ps the belt is just tied around. It was going around my neck but it took the attention away from the fabric. The dress is a little too big so it just pulls it in the right amount. Thank you – might adapt my Jiffy pattern sometime! 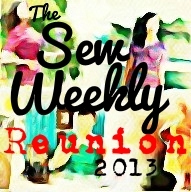 I don’t wear the one I made much because of the short sleeves! 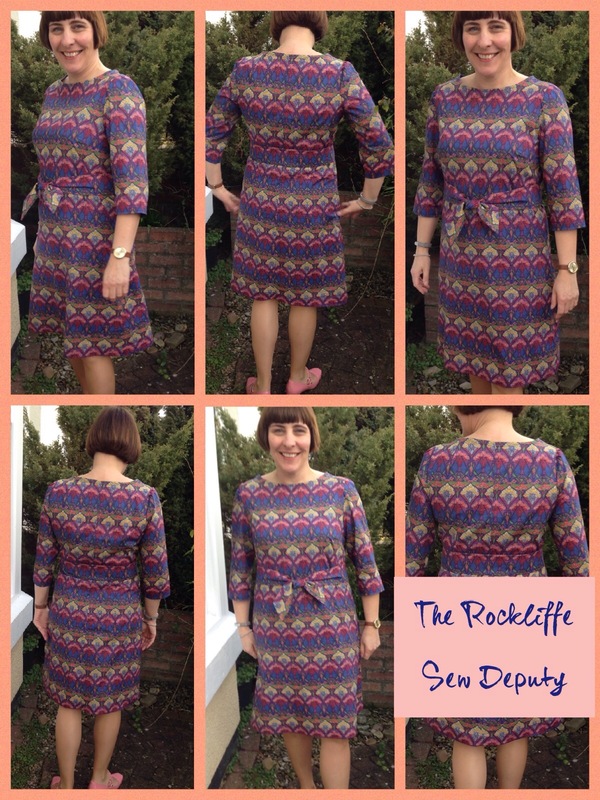 Love it – it looks really great on you! Glad you had such a lovely day. Very elegant, you lol stunning, but those great pins you’ve got you should be in mini dresses! How high can that boy jump?!?!? It’s because he is a PE coordinator I think! Lol . 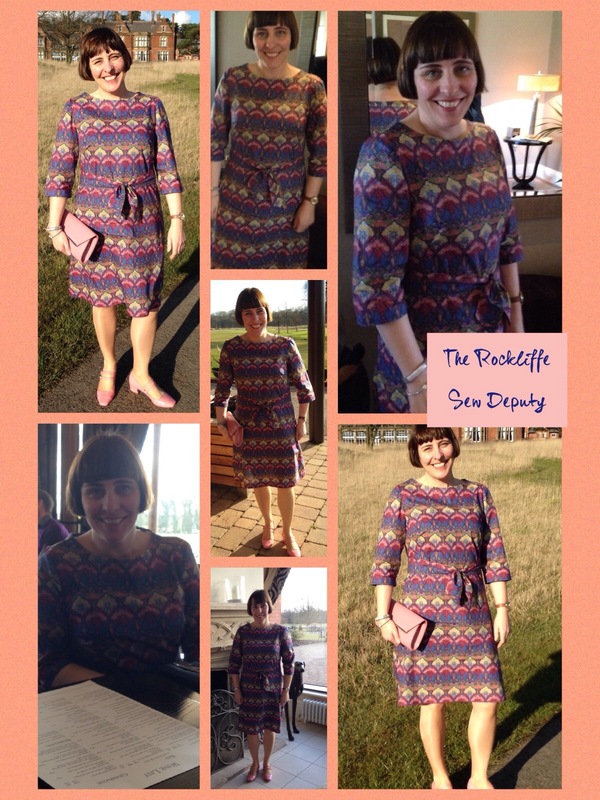 Lovely dress and some great photos! Hope you had a gorgeous meal! Lovely dress Amanda. Love the print! Thank you! It’s so pretty isn’t it? It looks as if you had a lovely day out! 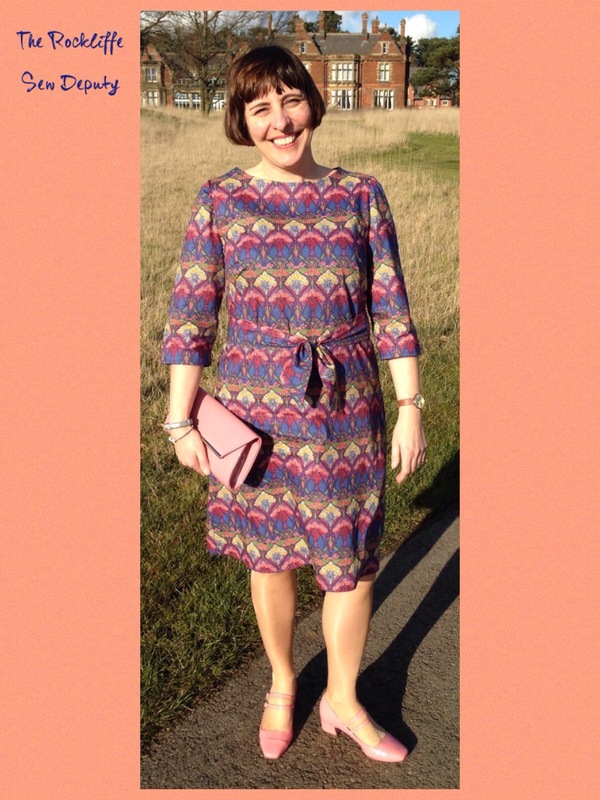 I do like the Liberty print – it is quite different to the usual floral prints isn’t it? Yes, it’s gorgeous isn’t it, it’s a vintage one I think. I love the colours in it and I always forget how beautiful it is to sew! I know – I have been petting liberty jersey and I might just have to get some!